When considering a career path, one can feel overwhelmed by the various choices. In order to help you narrow down your choices, some well-meaning friend will tell you, “do what you love”, while another will say, “choose a career that will pay a lot of money”. Who is right in this case? How can you determine what path to take? I was reading an article titled, “Doing What You Love Versus Doing What Pays” that looks at common advice on the subject. In reading the comments to that article, it seemed as though most of the readers would advise someone to choose a career path based on the potential income. Others still stuck with the “do what you love” advice that many hold to. But is it really that simple? Let’s take a look at a few of the pros and cons to both of these views, and also see if there isn’t some other choice that we can make. A couple of things to note. First, this is by no means an exhaustive list. Actually, I am counting on your comments below to help fill in the missing pieces. Second, you will notice that many of these points use uncertain terms like “may”, or “many”; this is due to the fact that many of these will not be true in EVERY case. 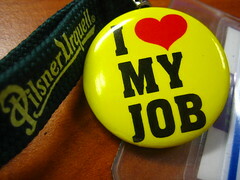 Do what you love, and if the pay isn’t great, lower your standard of living to match your pay. You can’t determine your standard of living apart from your income. In other words, LIVE WITHIN (or actually below) YOUR MEANS! This is true no matter what your income turns out to be. However, for many there is little to no career opportunity in what they “love“. In that case, find a balance. Do something you like, and if it doesn’t pay enough to maintain your desired standard of living, try to make a few bucks from what you love. Like others have said, don’t choke the life out of what you love by focusing on money, but maybe you can be a consultant in that area or start a blog giving advice about it. We see from this passage that our situation should not be able to determine our satisfaction or contentment in this life – especially if we are slaves to Christ! Personally, I happened to “like” a field that is in good demand (Economics & Finance). However, my true love is Theology, and that may be something that is in my future. What about you? What choice did you make? Any regrets? How would you advise someone in choosing a career path? Would you tell them to look for money, happiness, or both? 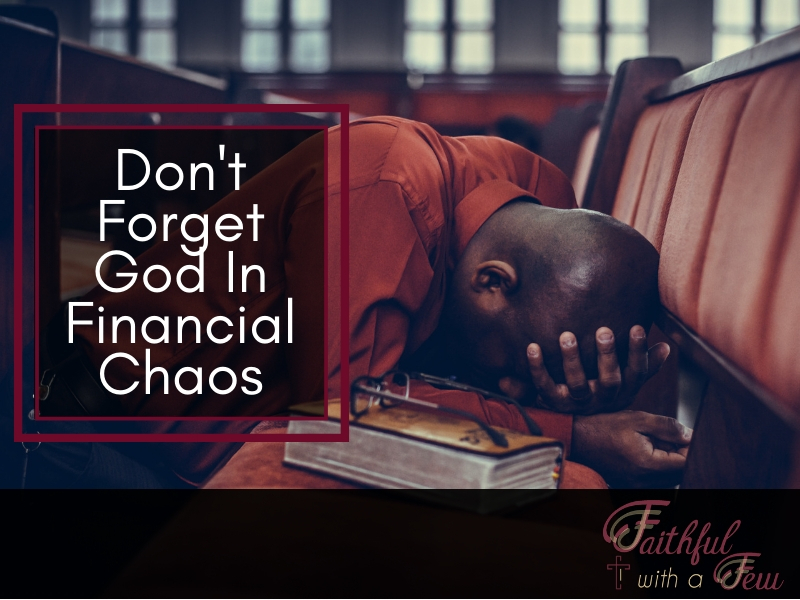 The one another verses of the bible remind me how fruitless it is to focus on God-honoring finances if we dishonor God by failing to love our brothers and sisters in the faith. This was something that our Lord condemned in the Pharisees (Matthew 23:23). This thought was placed upon my heart recently, and I wanted to share it with you. My wife and I drove down to her parents house for an early Memorial Day celebration. While we were having a conversation about God and Christian living, my mother-in-law shared with us a passage from her daily devotional (I believe it was Our Daily Bread). 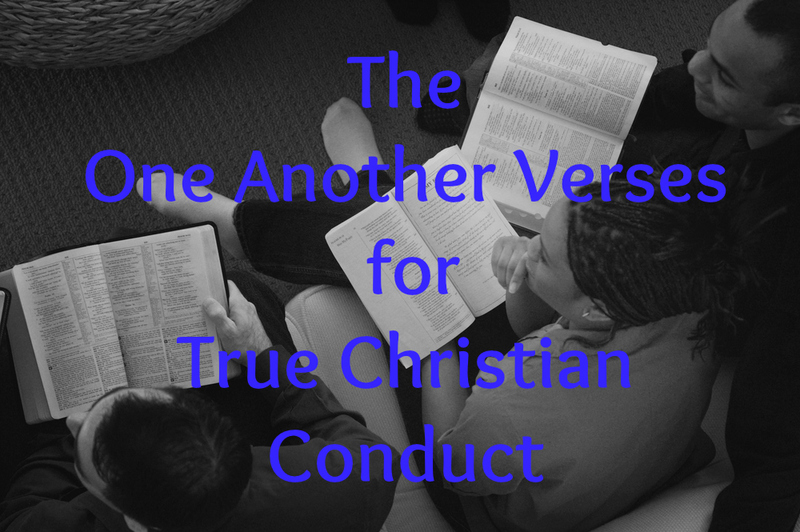 It focused on how we, as Christians, are to conduct ourselves toward one another. Love one another – John 13:35 – By this all men will know that you are My disciples, if you have love for one another. Admonish one another – Romans 15:14 – And concerning you, my brethren, I myself also am convinced that you yourselves are full of goodness, filled with all knowledge and able also to admonish one another. Bear one another’s burdens – Galatians 6:2 – Bear one another’s burdens, and thereby fulfill the law of Christ. Be kind to one another – Ephesians 4:32 – Be kind to one another, tender-hearted, forgiving each other, just as God in Christ also has forgiven you. Be subject to one another – Ephesians 5:21 – …and be subject to one another in the fear of Christ. Comfort one another – 1 Thessalonians 4:18 – Therefore comfort one another with these words. Live in peace with one another – 1 Thessalonians 5:13 – …and that you esteem them very highly in love because of their work. Live in peace with one another. Confess sin to one another – James 5:16 – Therefore, confess your sins to one another, and pray for one another so that you may be healed The effective prayer of a righteous man can accomplish much. Be hospitable to one another – 1 Peter 4:9 – Be hospitable to one another without complaint. This is not an exhaustive list of the one another verses in scripture, but these examples serve to show as a breadth of service and selflessness we should extend to other Christians. It reminds me of Christ’s example of humility and service in Philippians 2, as He humbled himself, to the point of death, on our behalf. By nature, I am a very private person and I tend to keep to myself – that makes it difficult to be obedient to some these commands. I have noticed that the more time I spend in prayer and in studying God’s word, the easier it gets to obey God. This is one of the reasons we are commanded to “pray without ceasing” (1 Thessalonians 5:17), and to “lay aside [our] old self” (Ephesians 4:22). I am going to be sure to incorporate each one of these things into my prayers every day! It is not enough for us to wear the title “Christian”, but we are to be transformed into the image of our Lord Jesus Christ (Romans 12:2; 2 Corinthians 5:17). I ask that every believer reading this continue to pray that my wife and I will submit to God in these areas, and that our love for God will be displayed in how we act toward our brothers and sisters in Christ! How do you ensure to have these character traits when relating to fellow believers? What advice would you give to someone who is seeking to follow these commands? How do you handle struggling in these areas? I would love to read your comment below.